Karen is qualified in Public Administration, Youth and Community Work and has 26 years broad experience as a Local Government officer and Community Education Officer, youth work and adult education. On many occasions the national park has been a resource to deliver social and educational experiences. Having moved to farm in Erwood, near Builth Wells, 12 years ago, Karen actively understands the need for compliance in land management, together with environmental and livestock management. 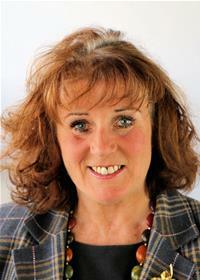 Recently elected as county councillor for one of the National Park’s adjoining wards, Bronllys, Karen is thrilled to represent Powys County Council on the National Park Authority and looks forward to supporting the professional work and new project development within the Park.